We make many decisions every day, from choosing whether to buy skim or whole milk, to deciding which way to turn at an intersection. How confident you feel about your choices will influence your behavior. But that subjective feeling of confidence stems from objective statistical calculations in the brain, according to a new paper in Neuron. This is contrary to prior studies concluding that the brain takes shortcuts when processing decisions—following rules of thumb and making approximations, rather than making precise statistical calculations. The notion of confidence can be tricky to define. There’s the human emotion of feeling confident, of course, but there is also a concept of confidence used in statistics. The latter is something quantifiable that can be precisely calculated. Statisticians typically do this by sampling the data and using that subset to draw conclusions about the entire data set. Google’s AlphaGo uses an algorithm to objectively calculate its confidence in how likely it is that it will win the game at every step, although the way it does that computation is very different from a human brain. Lead author Adam Kepecs, a neuroscientist at Cold Spring Harbor Laboratory, draws an analogy to poker to illustrate these two faces of confidence. A poker player with a big pot at stake must decide whether to call, raise, or fold. 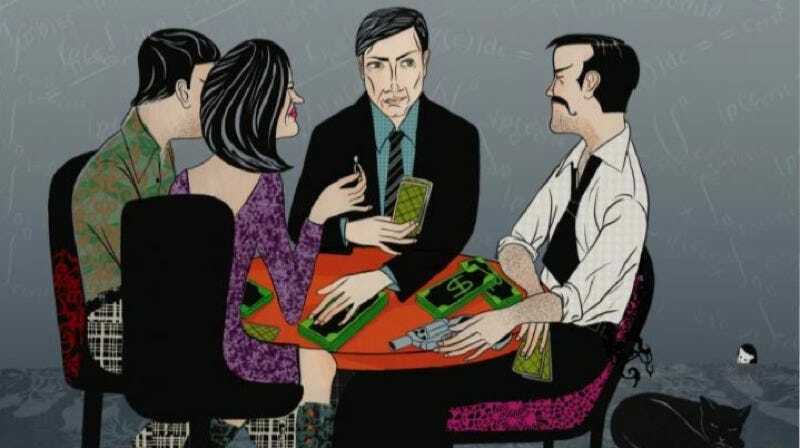 He or she can objectively calculate the odds—the statistical definition of confidence—but that decision also hinges on how the player feels about those odds. We think of the latter as a gut instinct, based in part on the player’s “read” of the other players at the table. To find out, he and his student, Joshua Sanders, built video games and rounded up human volunteers to play them. The first experiment involved listening to a steady stream of clicking sounds and trying to figure out which of the clicks were faster. Participants rated their confidence in their determinations on a scale of 1 (random guessing) to five (very confident). Those self-reports were then compared to the statistical predictions of computer simulations. And they matched, indicating that how the brain produces those subjective confident feelings is very similar to how statistical analysis spots patterns in messy raw data. “This subjective feeling of confidence relies on a statistical computation,” said Kepecs. One consequence of these new results is that the assumptions behind those earlier studies perhaps should be rethought. “Of course, it’s difficult to claim that people never use shortcuts, because ultimately the full statistical algorithm in complicated decisions has to be approximated somehow,” said Kepecs. “But should this be our foundation for future work?” Perhaps not. The ultimate goal is to pinpoint the region of the brain where this inner statistician is located, and precisely track just how it processes all that data. According to Kepecs, there is evidence that rats have a sense of confidence, and that certain neurons in rat brains provide a neural basis for that. This latest work hints at a deeper connection between rodent and human behavior. So as a next step, “We can look at a rat brain and unravel the full circuits that are producing the sense of confidence and controlling associated behaviors,” said Kepecs.